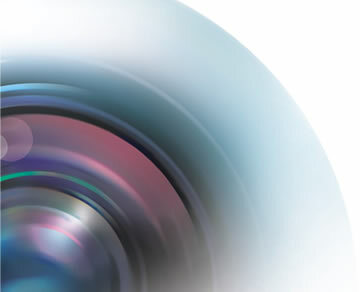 CSG provides a broad portfolio of sensor-based optical sorting technology. 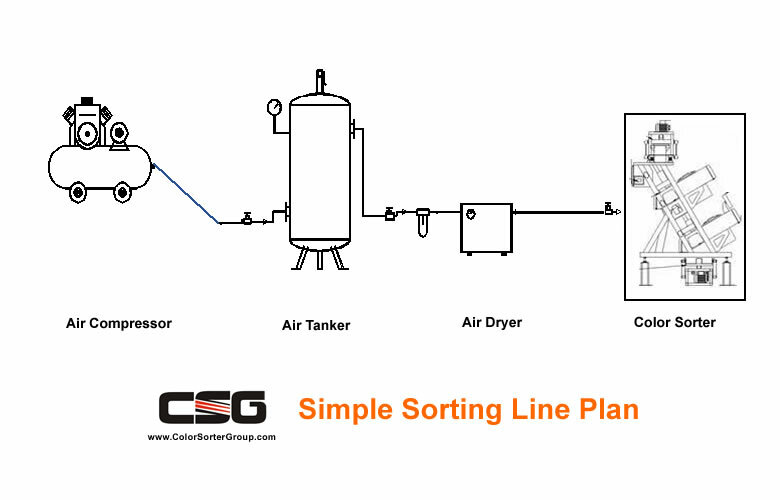 Automated sorting technology is faster and more efficient than its traditional counterpart. Promote sustainable development for Food Industry, Waste Recycling Industry, Mining Industry. 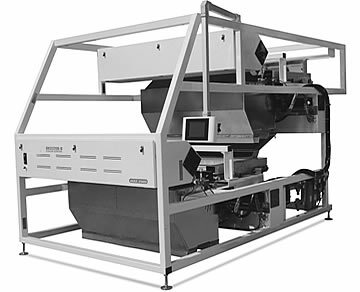 CSG Color Sorting Machine's working principle is according to the difference of the optical properties of the material, use photoelectric detection technology and Full-color high-definition CCD camera image acquisition system, get (RGB) red, green, and blue color information, depth identification of small and fine impurities, send signal to ejector, and use compressed air drive ejector to automatic sorting the heterochromatic granule from raw material. 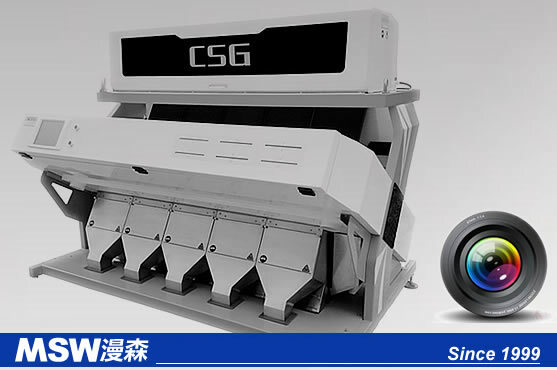 CSG Color Sorter use world top SENSOR-BASED OPTICAL SORTING TECHNOLOGY, sorting range from 0.01mm to 5 cm, sorting precision more than 99.9%. 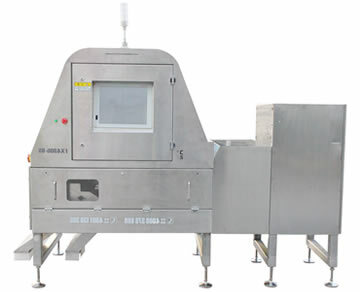 Solve the high dust, high output, complex colors, etc sorting problems under harsh environment. Apply to sorting: Rice, Wheat, Corn, Maize, Millet, Sorghum, Quinoa, Buckwheat, Oats, Barley, Cardamon, Sesame Seeds, Groundnut, Peanut, Soybean, Coffee Bean, Pea, Mung Bean, Lentil, Vicia Faba, Fava Bean etc. Apply to sorting: Nuts, Cashew, Almond, Pistachio, Sunflower Seeds, Watermelon Seed, Raisin, Lycium Chinense, Jujube, Cotton Seed, Chili, Shrimp Skin, Ore, Coal, Salt, Sugar, Glass, Plastc, Pearl, Pill, Gum, Industrial products etc. Excellent performance with reasonable price. 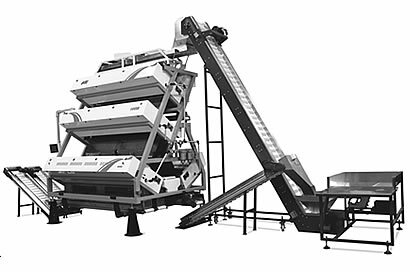 Global second largest manufacturer for optical sorting machine and have more than 30 years experiences in this industry. 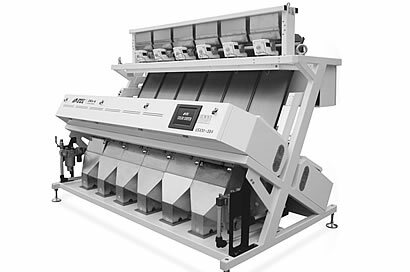 Have annual production capacity of 5,000 sets of color sorter machine. 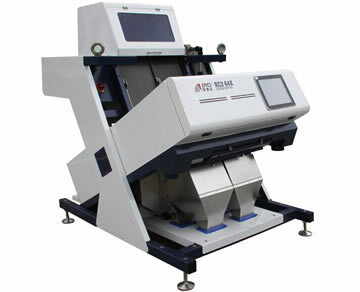 China's first ccd color sorter manufacturer and pioneer. Subordinate body of United Nations （U.N.）is our client, it's strict procurement process can prove our product quality and service. cloud computing technology, online operations & services, free upgrades. Near Infrared Sorting Technology: The Products be confirmed the reflected light after being irradiated by the near-infrared light, based on the pre-set spectral analysis information of various materials, it is determined whether it is a heterochromic substance , Issued the corresponding work instructions to solenoid valve, the bad product will be sorted out. Copyright © 2000-2018. COLOR SORTER All rights reserved.